Sand Castle Art Contest at Point Michaud Beach in Point Michaud. Registration at12:30pm and prizes awarded after the judging at 4:30pm. Sand Castle Art Contest at Pondville Beach in Pondville on Isle Madame. Registration at12:30pm and prizes awarded after the judging at 4:30pm. All youth registered under 12 years old receive a prize. Bring your own tools and equipment (such as a good shovel, buckets to carry water, spray guns for misting, carving tools, food and drink). Entry fee $10.00 per site. Prizes $1st =$100.00, 2nd = $75.00 and 3rd = $50.00. 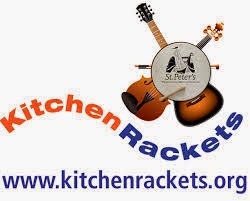 The Kitchen Rackets Ceilidh in the Sessions Lounge of the Bras d'Or Lakes Inn takes place every Thursday evening from 7-9pm from July 10th to August 28th. Cost $5.00 per person or $20.00 per family. Free for Children under 9 years. Cash Bar. The Jam Session in the Sessions Lounge at the Bras d'Or Lakes Inn starts July 10th and runs to August 28th from 9-11pm. All musicians are welcome to join in with the regulars. The Monday night Family Square Dances have begun and will run thru July and August from 7-9pm at the United Church Hall in St. Peter's. Admission is $5.00 a person for $15.00 per family. Free for children under 12 years. The Tuesday evening Jam Session will take place every Tuesday from 7-9pm at the MacBouch restaurant and Lounge. Here are some of Richmond County’s newest experiences. Please spread the word. 2pm - Tour the St. Peter's Canal - Once a day from Monday to Wednesday. Tour starts at 2pm, meet at the St. Peter's Canal for a 1 hour sail. No charge can take up to 4 people. Experience a ride through the canal locks and underneath the swing bridge. Take a short run about in the bay or inlet either under sail or by motor depending on conditions. To book your sail call Gordon Kerr at 902-631-3754. 2. Nature Tours of Richmond County. Join Lynne Doucette Sunday morning for a guided nature tour of beautiful Richmond County. This Sunday, July 6th. She will guide you to the storm surge in Fourchu. Richmond County contains many hiking gems. They are not easy to find but Lynn knows them all. She will provide you with enlightenment as you walk through nature. You might even find an Eagles nest and have a feather authorized by our First Nations people. Dates for the tour July 6, 13, 20 and 27th. Time 9am. Duration 3 hours Meeting place: St. Peter’s Nicolas Denys Museum. Rates Individual $20.00, Family $30.00 Call 631-3754. 3. Cultural Tours of Battery Park. Monday to Thursday Time-6:30pm. Duration - 1hour. Meeting place: St. Peter’s Jerome Pt. Lighthouse. Rates: Individual $10.00 Family $20.00. Booking Call Gordon at 631-3754. Join local raconteur, Clair Rankin, as he takes you through time and timber in the battery Park Provincial Park. The site of two forts in the 1700’s one British, one French, the Park has witnessed many historical events in the shaping of the New World. Clair is also a trained plant scientist who can enlighten you on the local flora and fauna during the tour. Join him as you walk from the sea to the sky during the one hour tour. Native Story Telling with R. Marshall contact number 1-902-535-3160 or email rmarshall@potlotek.ca. Open fire bannock making with Belinda. Contact number 1-902-302-0649 or email bgoogoo@msn.com. Dream catcher and beadwork with Marlene Julian and Arlene Marshall contact number 535-2565. Smudging Ceremony with Robert Pictou contact number 535-3528. Learn about the benefits of a Native Sweat Lodge with Billy Morrison. Contact number 535-3160. Sweet grass picking with Anita Basque. Contact number 535-3160 or email aebasque@hotmail.com. There are 2 new riding Stables in the St. Peter's area. The Twilight Stables offers Kids Day Camps (Monday thru Friday from 8am to 5pm) Your child will learn about caring for and riding a horse, with a whole lot of fun activities as well. Lunch included. Call Katie at 631-0882 to reserve. The stable also does Trail rides and pony rides and birthday parties. The Old Dunrobin Farm offers Adult Trail Rides as well as Jr. Trail Rides-must be 10 years of age or older = cost $40.00 per person. Pony Rides for children $5.00. Several different trails to choose from ranging in length from 1 hr. to 1 1/2 hrs. Cash only. Please call 1-902-227-5467 for more information. Stand Up Paddleboard Lessons given and rentals available from Michelle Richards. For more information call 2271230.